The media endlessly feeds us stories about how one generation or another is engaging in some collective act of moral failing that, either explicitly or by implication, harms another generation. It’s a widely-mocked cliché at this point, namely the near-constant analyses detailing what Millennials have “killed” or “ruined” lately - everything from Applebee's to diamonds to top sheets to beer to napkins. 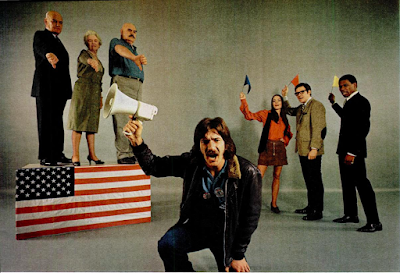 The first rule of drama––and by implication, the media––is to create tension. But what if tensions that actually exist in our society, like white supremacy and class conflict, are too unpleasant and dicey to touch––upsetting advertisers and media owners who benefit from these systems? To replace these real tensions in society, the media repeatedly relies on dubious and entirely safe points of conflict, like those between two arbitrary generations. It’s not the rich or racism that’s holding me back--it’s old people running up entitlement spending or lazy youth who don’t want to work! In this episode we talk about why this media trope isn’t just hacky and cliche, but also subtly racist and reactionary. We are joined by Adam Conover, host of Adam Ruins Everything on truTV. Adam Conover is a comedian, writer, and the creator and host of Adam Ruins Everything on truTV. 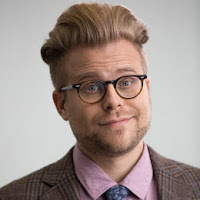 Follow him @adamconover. Citations Needed is produced by Florence Barrau-Adams. Our Production Consultant is Josh Kross. Our research assistant is Sophia Steinert-Evoy. Transcription by Morgan McAslan. The theme is ‘Nonphenomenal Lineage’ by Grandaddy.